CBL Landscapes develops each project with a passion for art of design, quality and the environment. Our company is unique because we combine a high level of artistic design with a scientific understanding of plants and sustainable practices. As architectural designers, we are able to craft beautiful landscapes that are personalized to each of our customers. As scientists, we are able assess existing landscapes and identify all underlying issues regarding the health of the garden. 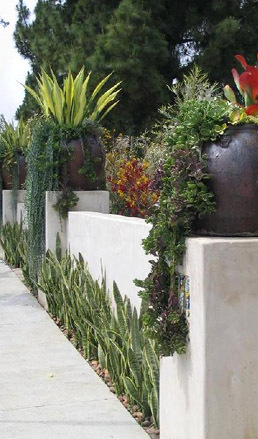 As landscape professionals/plant horticulturists we are able to address all of these underlying issues correctly, while selecting the perfect plant palette with the appropriate irrigation, drainage, and lighting systems. Due to this balanced approach, the gardens we create are not only beautifully lush and green they also require less water and less money to maintain.